Richard is a foundation member of the Trust. He is currently the CE of Arts Access Aotearoa. He was previously the Cultural Affairs Specialist for the Embassy of the United States of America and has also worked for the New Zealand Historic Places Trust as Manager of Old St Paul’s in Wellington, and, as a self-employed Events, Marketing and Public Relations Manager. A former high school teacher, Anthony is a local historian with a special interest in the Kapiti/Horowhenua region. 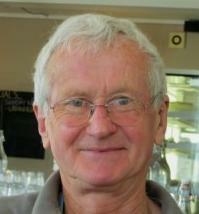 He has written three books about the area and is a former editor of the Otaki Historical Society’s annual Journal. As a former Chair of the Paekakariki Station Precinct Trust, Anthony curated - A friend in need: the Paekakariki story - the first major project undertaken by the Trust. He has subsequently managed a number of other interpretation projects including the US Marines Hut Restoration Project. Allie is a foundation member of the Trust; she runs the group on a day-to-day basis and is its lead fund-raiser. Allie has worked in the New Zealand media for the past 40 years as a journalist, radio and television producer, public relations professional, teacher and trainer. She was formerly Media Advisor to Mayor Jenny Rowan. Allie was also the former President of Paekakariki Informed Community, publisher of Paekakariki Xpressed Community Newspaper, and a former member of the Paekakariki Community Board. Sue Harris is a staunch community person with a strong background in business, tourism and community development. She moved to Kapiti from Methven where she lived for 20 years running her own business, Methven Motels and Holiday Homes. Sue was on the Governing Board for the $4m Methven Alpine and Agricultural Centre and also developed 21 Residential Sections and built an 11-unit motel. She set up Methven Mall Craft Shop using local crafts people and held a number of positions on the Methven Mt Hutt District Promotions Association. She was also involved with the Methven Summer School, on the committee of the Methven Community Focus Education group and served on the Methven Community Board for two terms. Sue joined up with the Trust through Volunteer Kapiti and is now our Treasurer. She is also engaged in a range of other volunteer work in the District. Major Larry Keim, USMC (Ret) is a foundation member of the Trust and is President of the New Zealand American Association. Larry enlisted in the US Marine Corps in 1969; his career took him to a dozen countries from Viet Nam to Western Sahara and back to California. During his career, he trained and was recognised as military parachutist and Recon Diver, and received a number of awards and medals. After gaining a Bachelor of Arts degree with honours from California State University, Sacramento, Larry became a Commissioned Officer in the Marine Corps. He has since served as a Company Commander, Inspector and Instructor, United Nations Military Observer, Officer-in-Charge (OIC) and Executive Officer during a number of official assignments. Larry retired from the Marine Corps in 1996. He now lives with his family in Kapiti New Zealand. John is a foundation member of the Trust. He came to live in Paekakariki as an eight year old and was present in 1942 when the Marines marched into town. He has had a long-time interest in keeping Marines history alive in the village. John served on the Paekakariki Surf Lifesaving Club for 60 years, including six years as President. He has had a lengthy association with Queen Elizabeth Park and is a former Deputy Chair of the Friends of the Park and a former Deputy Chair of the Paekakariki Community Board. John is also a member of the Guardians of Whareroa Farm and was part of the group who fought to keep the farm in public ownership. Roger is a former secondary school teacher specialising in the social science. He has lived in Kapiti for over 40 years. He has written a number of history and geography text books and is currently the Associate Editor of the Kapiti Independent News. He has a strong interest in the on-going development of conservation and pathways in the district – in particular the area where the three American camps were located in the 1940’s. As keen members of the Kapiti Joggers & Walkers Club Roger and his wife Pam, are coordinators of the annual In the Footsteps of the Marines Memorial Weekend event. Jenny Rowan is a former two-term Mayor of the Kapiti Coast District Council and a foundation member of the Trust. She stood down as Chair of the Trust at the AGM in 2018 and was appointed a life member. Jenny is a former Mayor of Inglewood (1986-1989), a former Deputy Chair of the Taranaki Regional Council (1989-1991) and a former Deputy Chair of the Paekakariki Community Board (2004-2006). Prior to becoming Mayor of Kapiti Jenny was a Commissioner in the Environment Court for 16 years. She is still very active in the community and is currently Chair of the Wellington Conservation Board. Joan Ellis (Te Atiawa, Ngati Kahungnunu) is an historian and author. She is a foundation member of the Trust. 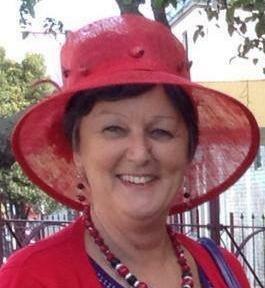 Educated at Sacred Heart College Lower Hutt Joan has worked as an Office Administrator and, Restaurateur. She studied weaving in UK, designing and creating a collection of colourful wall hangings and rugs in the 70's and 80's. In 1993 Joan began researching the history of the WWII period when the US Marines were stationed in Wellington from 1942-1943. This culminated in the production of two books A String of Pearls and Follow Me Back in Time - documenting stories from veteran Marines and New Zealanders. Original generation time 1.0687 seconds. Cache Loaded in: 0.0729 seconds.